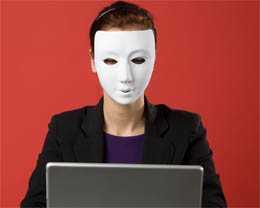 The ability to hide one’s identity on the internet has often been a contentious issue. If we agree that the internet is a powerful platform for influence and change, then the issue of identity and accountability has to be raised as well. Such issues, if well discussed, can form important arguments in your exposition essays regarding the changing environment wrought by the new media in today’s world. 1. Anonymity should not be banned in every part of the internet any more than it is in the physical world in democratic countries – it would breach civil liberties. 2. The right to anonymity when voicing opinions . . .
1. The prevalence of anonymity in online debates has spawned a culture of aggression. Examples :” Trolls” ‘Flame wars”. Such culture goes against the advantages supposedly brought about by the democratisation of . . .